Ken Fischer said it best, “Bigger parts equals bigger sound.” The "Signature Series" 50 watt HVP 50 watt amplifier required 2 years of R&D. 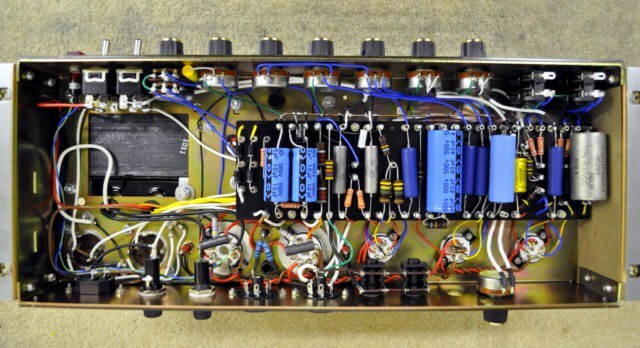 The best tone and performance came together using approximately 90% NOS (new old stock) resistors and capacitors. The HVP is built in the same manner as our standard Plexi: 'point-to-point' using mil-spec wire in the thickest gauges possible, our custom power section, Teflon Tube Sockets, 20 amp switches, and sealed pots. Higher voltage fed to the board via the power supply means it opens up the sound with maximum headroom, touch-sensitivity, sustain, and a deeper bass, with incredible highs and harmonics. This brings in the unusual, and preferred 'fenderish tone' not heard before in a Plexi circuit. Back off on your attack and the notes play clean. Dig in, and the notes become aggressive while maintaining that vintage Plexi distortion with definition and rich harmonics. Parts is parts? Sure, we could use all new caps that 'spec out' the same, but they don't sound as good. The PIO cap (seen below) was made in the USA during the 1980's. 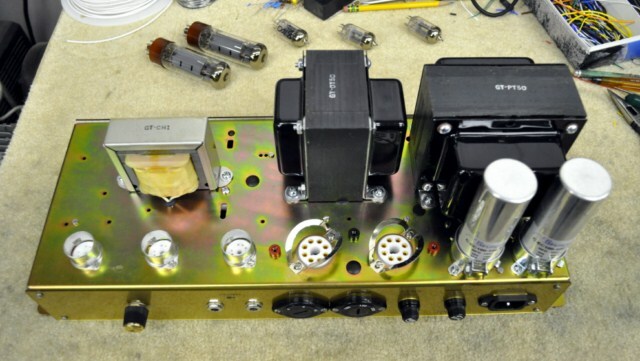 NOS parts such as this, make the HVP go beyond what is typical of 'boutique' amps. All of the 'Paper In Oil' caps in the HVP were selected from actual sound tests for their warmth, depth, and smoothness (especially in the highs) that modern caps just don't produce. 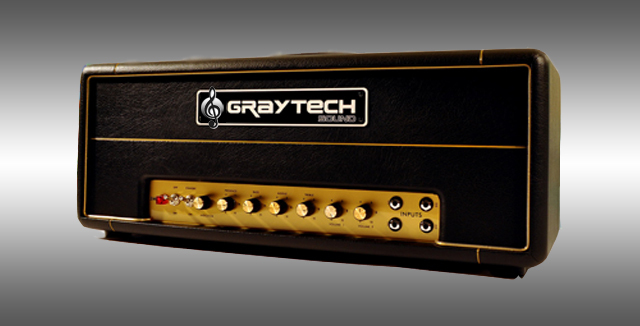 It all adds up to a warm, fat, highly-defined amplified tone with highs and harmonics that are never harsh. The depth of tone from the PIO caps adds to the harmonic flavor - something we like to call 'Harmonic Warmth'. This particular PIO cap is installed in the preamp section, making the tone ‘fat’ - a much fuller sound across the entire tonal spectrum. This isn't hype. I did the listening test myself, as I don't rely on other sources for definitive answers to tone. 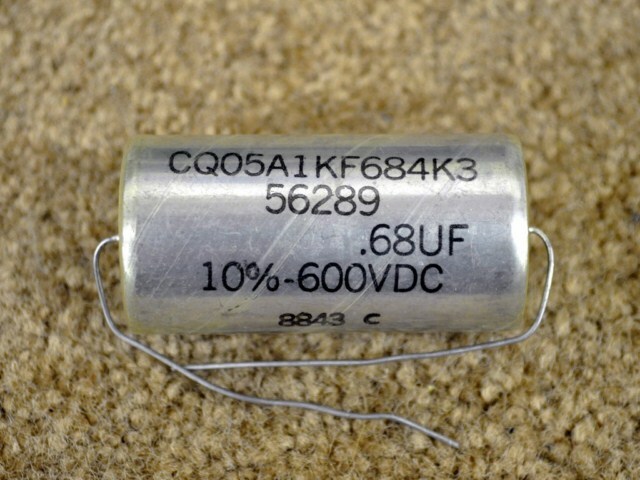 Can one capacitor really make all that much difference? Yes, indeed! Just like our caps, we could use new resistors that electronically 'spec out' the same, but they just don't sound as good. 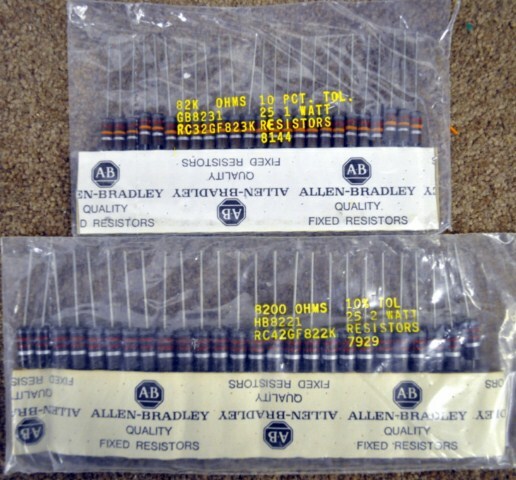 The 1 watt and 2 watt carbon composition resistors (such as the Allen-Bradley seen above) are NOS which are used in the preamp section where the tone is being produced. Once again, the CC resistors are individually selected for the best possible tone and performance characteristics, along with the ability to handle high current loads running in the HVP and will not burn up. They provide quieter operation, and offer the best in tonal response from the amp. Your sound will not fade away over many years of playing. The 'Bloom Effect' is the prime consideration when selecting resistors for an amp, along with the 'roundness' in tone. The best way to describe it is when you hit a note or play a chord, the sound the attack is good, the signalis compressed, then raises ever so slightly. It is also referred to as 'sag'. You can hear a fullness, along with extended sustain. We use precision machined, Teflon Tube Sockets with gold-plated, phosphor bronze pins for the best possible performance. We love these tube sockets!!! Engineered for hi-fidelity stereo equipment, the GrayTech Sound Teflon Tube Sockets provide the highest possible level of conductivity, will never crack or deteriorate, and act as a vibration dampener against the extremes of the sound stage. These tube sockets simply allow the tubes to perform at their best. This is not a Plexi you've ever heard before. When plugged straight in, the bass is much richer, deeper, and more percussive with great definition! The highs sing with a harmonic quality not heard in any other Plexi. The mids articulate to any blues player's delight. This is a true professional, high-performance amp with components installed containing precious metals and other expensive raw materials, reflecting the actual value. Ask yourself this one question: is it possible to buy a Corvette at the price of a Camaro? They're both nice sports cars, but you can't compare them.